The cow herd really came through for us this year. Just another example of a first calf heifer going above and beyond. Dam is out of an Identity bull that was long, thick and deep. She's a mellow animal with a perfect udder. Weaned off at 712 lbs @ 210 days. 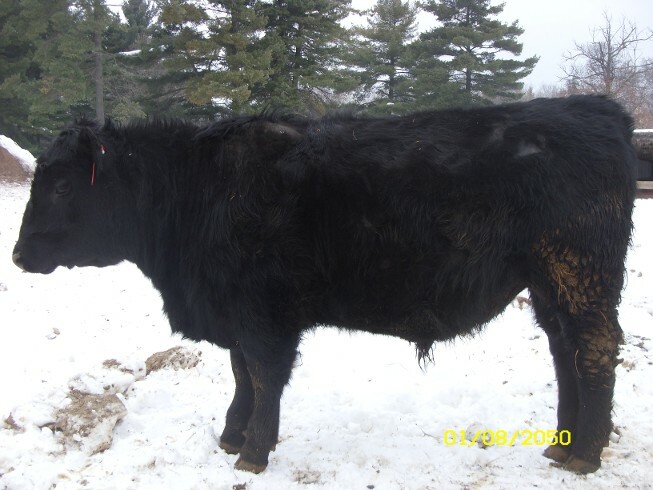 R431 is a well-built young bull who is looking alot like his grandsire Identity. Wide spread between birth and weaning; great growth for this young bull.